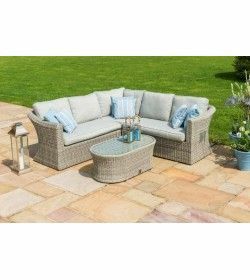 Oxford Sofa Sets There are 15 products. 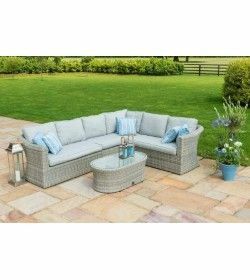 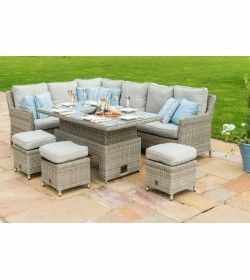 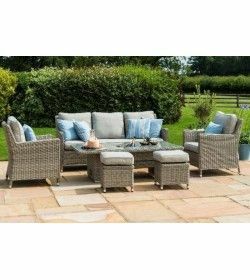 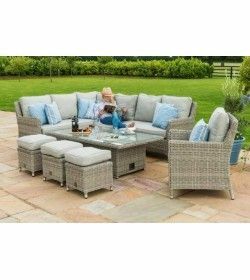 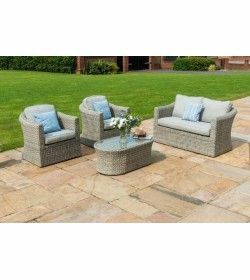 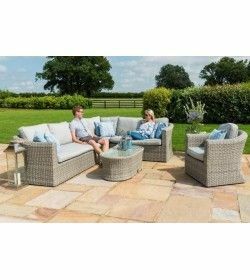 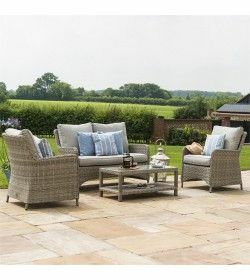 This Sofa Dining Set with Ice Bucket and Rising Table provides a great value dining sofa for 7 people which will look great in your outdoor space or equally at home in your conservatory. 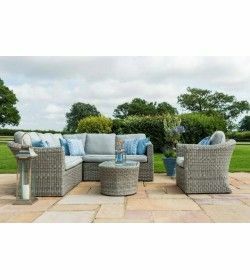 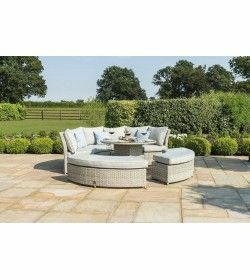 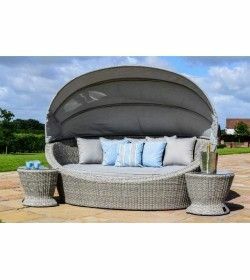 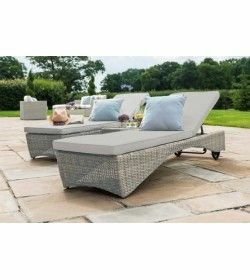 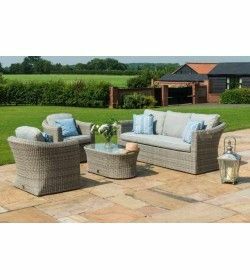 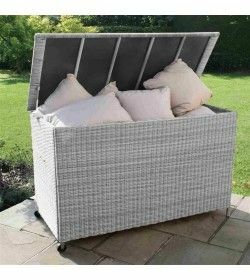 Finished in beautiful grey round rattan weave, offering a look similar to wicker, and finished with matching thick grey cushions.